Your favourite image is printed directly on the canvas using archival inks and then stretched on a sturdy, wooden frame 1'' inches deep, or 1'' inches deep with our Pro Service. Please remember to leave extra room on your image for wrapping or call us for a custom set-up. We use a high-quality protective coating over the image to prevent cracking and yellowing. Most stores simply print and stretch; we use this extra process to give you a premium product that will last for many years. Most orders are completed within 10 days - rush service is available on request. Your image is ready to hang as soon as you get it with no extra framing or matting costs involved. 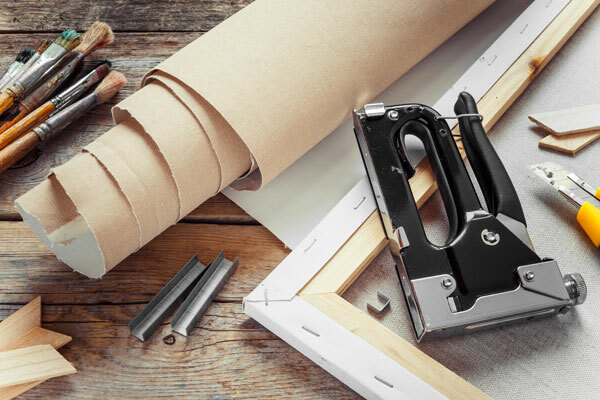 However, we offer a unique floating framing option for standard sizes of pro canvases 16x20 or larger. Have us take a photograph of yours or of ours and match it perfectly to the colour and feel of your home.